Dredge out the mooring area at the coast guard station in Green Bay, WI while allowing the USCG’s to perform their daily activities. The project worked 24 hour 7 days a week the entire construction schedule to complete work within time frame required. 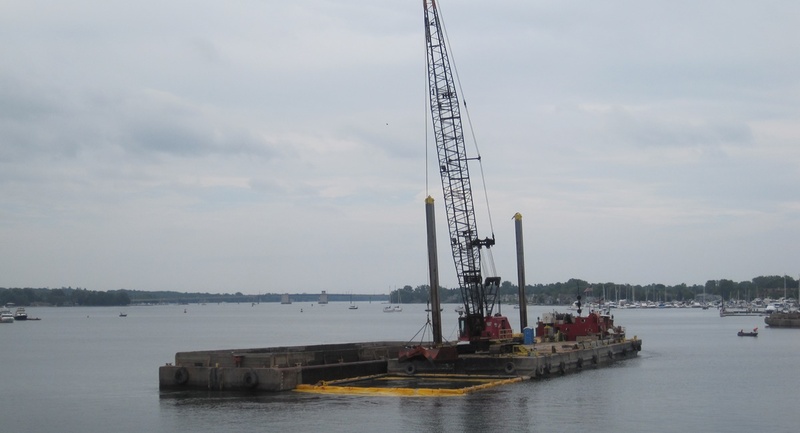 Large amounts of spoils were hauled off-site by a fleet of dump trucks to approved disposal sites while dredging work was completed.